Tony is a Senior Vocational Rehabilitation Consultant with Unum, a Life and Disability insurance company. He has worked in the vocational rehabilitation field for over 20 years. Tony received undergraduate and graduate degrees from Assumption College in Worcester, MA. He then worked for 8 years in the non-profit sector in the Worcester area providing vocational rehabilitation services to people with developmental and mental health disabilities. After returning to his home state of Maine with his growing family, he has worked in the workers' compensation and disability insurance industries. 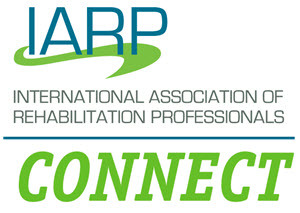 He is currently on the IARP Board of Directors as the RDCM Section Representative. He has previously served as the New England Section Chair. He lives in Lewiston, Maine with his wife and children. He enjoys performing in the local art scene as a musician and actor.